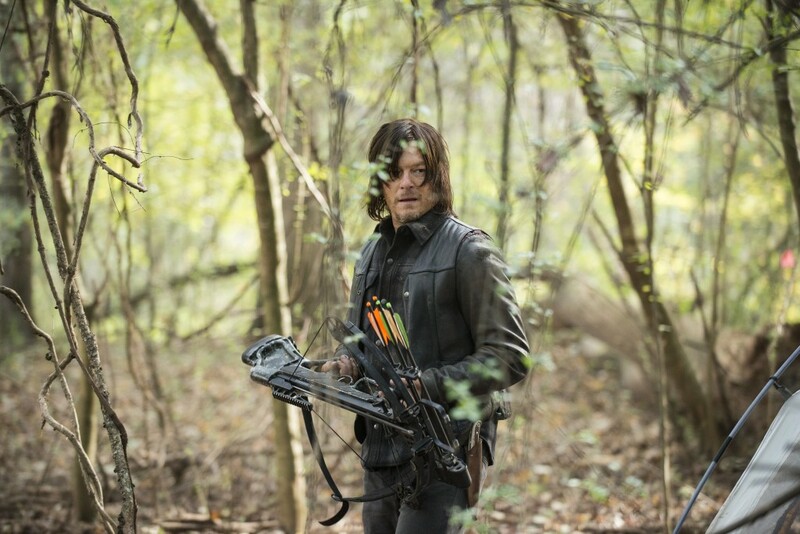 Is Negan About To Become Daryl’s New Best Friend? That question sounds absolutely batty (Lucille-y) at first glance, but just bear with me. Why would anybody want to become Negan’s friend after what they just went through in the Season 6 finale (and what they’ll surely go through in Season 7)? The answer is found in the comics, where Negan does make a new friend from Rick’s gang of survivors: his own son. The Negan arc is also a period of character growth for Carl Grimes. He learns how to defend himself and stand up to people — and when he defies Negan, instead of being angry the man is impressed. Over the next few issues Negan takes Carl under his wing as a faux uncle figure and teaches him the ways of jackassery. However, this may not be how things turn out on the show. According to recent rumors, people have spotted scenes being filmed on the set that show Negan walking around with Daryl. Carl has yet to be seen doing anything with Negan; in fact he’s been instead filming a lot of scenes with (sigh) Enid. It’s led to speculation that Carl’s arc from the comics is being given to Daryl…which is a shame, since readers agree Carl became a much better character after his time with Negan. But if these rumors are true, they also mean Daryl isn’t the one getting clobbered. Either that or they’re pantomiming fake scenes with the cameras off to throw off suspicion. Is Chandler Riggs Leaving The Show?